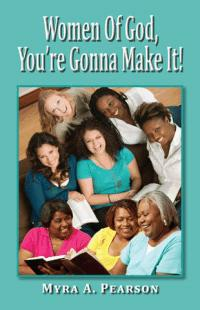 A book of inspiration and encouragement for women facing issues in their every day lives. The book contains a chapter on how the reader is to "Affirm Herself". There are 9 Affirmations you say aloud to set the tone for the day. Women are also advised to Pamper Themselves which included 14 ways to make your life more carefree and enjoyable. 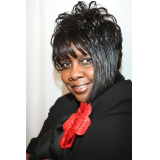 Myra states that women must see the Invisible, Believe the Incredible and Receive the Impossible Why? Because Women of God You're Gonna Make It. It comes from the remembrances of the times when I had many issues unlike the woman with the issue of blood, but they were still issues. And that we're all in a spiritual battle whether we like it or not because when we said Yes to the Lord's will and way, we were put on the devil's hit list.